I'm not really a fan of oriental fragrances normally. They always feel a bit too heavy for my liking. But Miller Harris Fleur Oriental Shower Wash totally makes me rethink my opinion, because I've got to be honest ... it smells amazing. Best of all, it contains many ingredients that work overtime to leave your skin looking and feeling its best. Olive oil nourishes, chamomile oil calms and coconut encourages a foamy lather. And can we talk for a moment about how gorgeous the bottle is? A unique floral design wends its way across the bottle, lending an unbelievably luxe feel to your shower caddy that you won't find anywhere else. 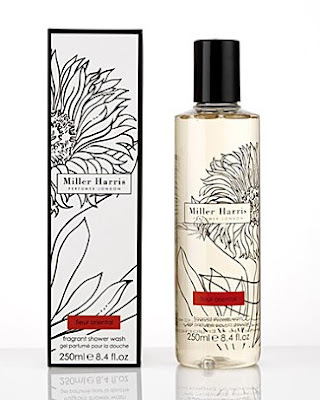 Miller Harris Fleur Oriental Shower Wash retails for $50.